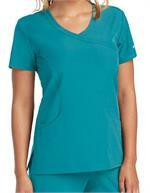 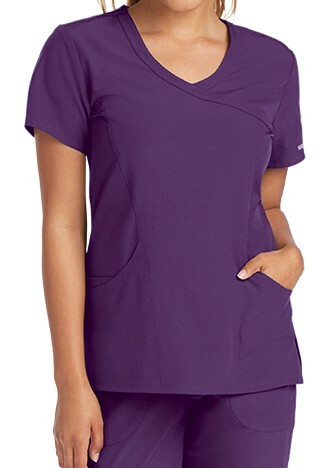 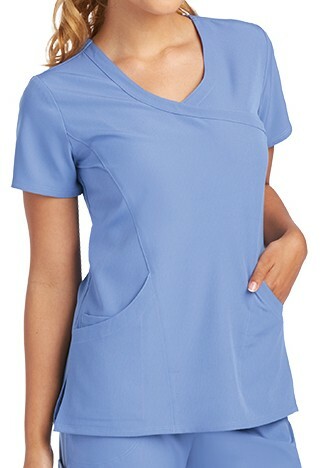 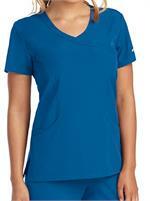 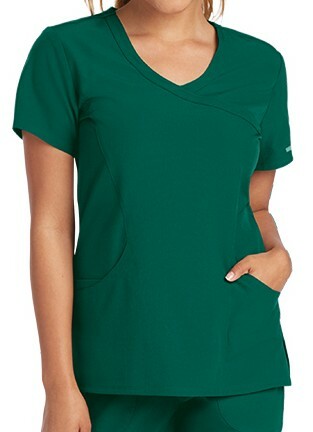 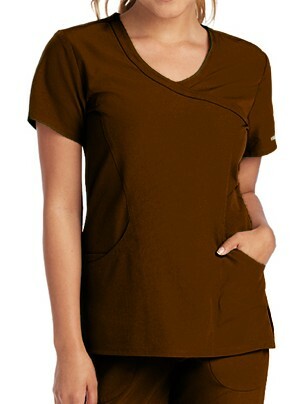 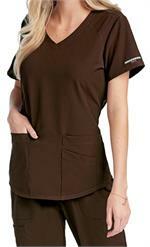 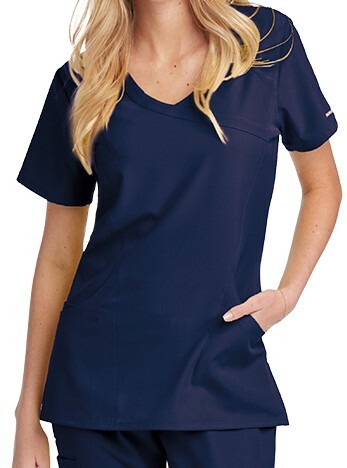 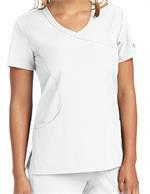 This Skechers modern fit Reliance top features 3 pockets, shaped mock wrap with front princess seaming, and inside back neck contrast binding and side vent detail. 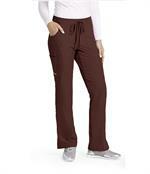 Made of 54% polyester / 40% recycled polyester / 6% spandex. 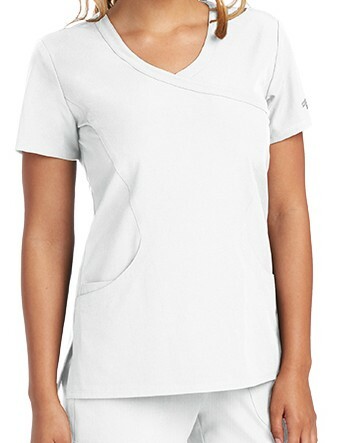 Center back length is 25.5".